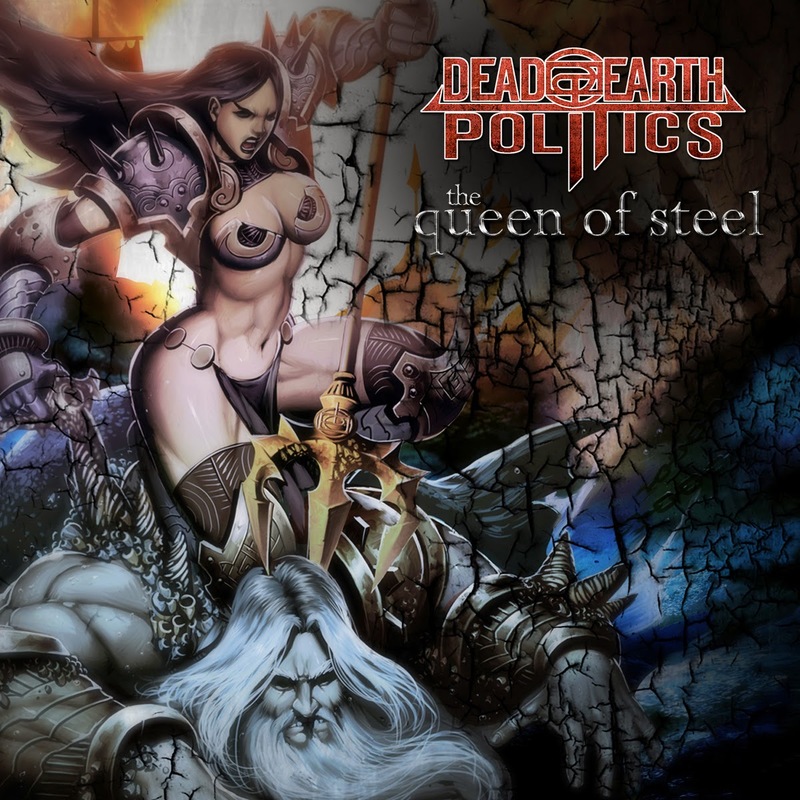 Hall of the Mountain King: Review: Dead Earth Politics, "The Queen of Steel"
Scott’s growls will certainly draw comparisons to Lamb of God’s Randy Blythe, and things move into that heavier groove metal frame of mind, which will be backed up by a heavy break right before the guitar solo. But there’s another curve ball coming on the chorus as the band moves into a more progressive mode with some soaring guitars and clean vocal harmonies. It’s a very promising start. Next up is the title track, “The Queen of Steel.” The verse of this tune reminds me of Trivium’s more thrash-influenced turn on 2006’s The Crusade. That might cause Trivium fans to cringe, but from me it’s a compliment since that’s my favorite Trivium record. Drummer Mason Evans bashes away on the pre-chorus as the Lamb of God comparison crops back up. 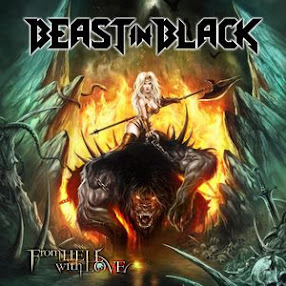 The traditional metal flavoring returns on the guitar solo, which again could have been pulled from any NWOBHM album. We also hear another different vocal style from Scott used sparingly in the tune as he goes for a couple of Rob Halford-style shrieks. The styles really meld, though, on the final track, “Madness of the Wanderer.” It opens with some more traditional noodling guitar, but there’s a blast of prog flavor, particularly from the rhythm section of Evans and bassist Will Little. Then the song shifts into a grinding riff and heavy vocals for the verse. As the chorus comes around there’s a really nice set of weird, warbling harmonies that puts me in mind of Alice in Chains, and it gets topped off by another Halfordesque high note. It’s the strongest of a very solid three-song set, and it leaves me impressed and wondering why I haven’t heard of these guys before.